A good pillow is just as important as a comfortable mattress. 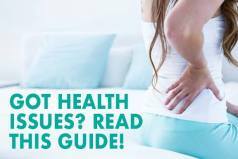 It plays a crucial role in the health of your spine and using the wrong one can lead to back problems and various other health issues. A good pillow is meant to provide your head and neck with the right amount of support and keep them properly aligned with the rest of your body. It should be of the right size and design to fit your specific curves and your preferred sleeping position. Here we will take a look at the Bolster pillow, a truly unique pillow capable of suiting all types of sleepers and all their specific needs and sleep preferences. 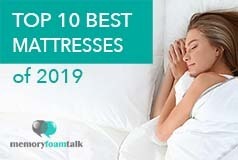 It has been designed and recently introduced by an online mattress retailer Bolster that is relatively new on the market and that promises to provide its customers with an unparalleled sleeping experience by offering them a wide range of innovative sleep products. The Bolster pillow followed the release of the Bolster mattress, and it was created to meet the needs of a variety of different sleepers. You can check out our review of the Bolster mattress here. What makes this pillow stand out from other pillows is the addition of TENCEL fibers within its cover and the use of LOFT-X shredded memory foam to create a cool, hypoallergenic, soft and comfortable sleep surface. The Bolster pillow comes wrapped in a plastic package which may result in a slight off-gassing smell upon opening the package, but it is nothing overpowering and will dissipate within a few hours. It is offered in two sizes: Queen which measures 24″ x 15″ x 7″ and King which is 29″ x 16″ x 7″ and is filled with a special LOFT-X shredded memory foam which is CERTIPUR-US® certified, which means it is free from potentially harmful chemicals and toxins. The cover of the Bolster pillow is soft, durable and made of TENCEL. TENCEL fibers within it don’t just create a cool sleeping surface and add antimicrobial protection to the pillow but are known to be natural, eco-friendly, sustainable and good for your skin. The cover is thick, plush, easy to be cleaned, and it can almost serve as a stand-alone protection if you don’t want to use a separate pillowcase. It is also removable and washable, so you can remove it at any time and wash it if necessary. As I have already mentioned, the Bolster pillow is stuffed with the special LOFT-X shredded memory foam which provides that classic memory foam feel, but it still stays lightweight as it is not one of those flat blocks of memory foam but it is filled with the shredded pieces of foam. The shredded memory foam will cradle your head and neck while you sleep while also providing them with the right amount of support necessary to keep them in alignment with the rest of your body. The TENCEL cover and shredded foam provide a very soft and pleasant feeling. The pillow has all the conforming and pressure relieving benefits of memory foam while it also promotes restful sleep and great spinal support. What Andrew and I really like about it is that it has this memory foam feel and support while it is also adjustable in that it allows us to move the fill around, depending on what position we sleep in or simply unzip it, take out some of its filling and achieve any level of comfort we need. So, the Bolster pillow is stuffed with shredded LOFT-X memory foam which allows you to adjust the filling to achieve the loft that will work for you simply by unzipping the cover and the inner case and removing some of the filling or adding it back. This is something we consider really important when choosing a pillow as it enables you to customize things to your preferences. Such construction of this pillow combined with soft and breathable TENCEL cover allows better airflow through the pillow and aids in cooling. The cover also effectively wicks away moisture, prevents retention of excessive heat and that sticky sweaty feeling typical for memory foam. Without any adjustment the Bolster pillow is more on a loft side and it better suits back and side sleepers than stomach sleepers, but if when you take some of its filling out it can work perfectly well for stomach sleepers too. So, it is designed to suit all types of sleepers and all sleeping styles. We are primarily side sleepers and we liked how it worked for us when lying on our backs and sides. It cradled our heads and perfectly contoured our necks filling the space under them without causing any discomfort. For us, this pillow is one of the most comfortable pillows available on today’s market. It is a perfect blend of softness and support and has everything that is needed to provide you with a comfortable sleep regardless of the position you choose to sleep in. All you need to do is to adjust it a bit to suit your specific build and sleeping style and you’ll enjoy a restful sleep all night long. The Bolster pillow costs only $69 which is an extremely reasonable price given the overall quality and luxuriousness of this pillow. Shipping is free and you can purchase it through the Bolster website. Bolster offers 30-night sleep on this pillow which means that if it doesn’t work for you, you can return it within these 30 days and get a partial refund. There is 25% restocking fee for this product and all returns will be at the customer’s expense. So, the refund amount you’ll get will be the original purchase price less restocking fee and pro-data discounts. For more information about this, visit the Bolster site. Click here to get the best price on the Bolster pillow. 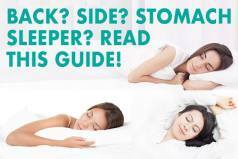 Is the Bolster Pillow right for you? Adjustable pillows – The Bolster pillow is adjustable in that its zippered cover and inner case provide total access to shredded memory foam within it so you can take some of the filling out or add it back in to achieve the loft and comfort you need for your preferred sleeping position. Cool-sleeping pillows – The shredded memory foam within this pillow makes it breathable while its soft cover using TENCEL fibers aids in this, prevents the build up of excessive heat, wicks away moisture and creates a cool and pleasant sleeping surface. Memory foam feel – This pillow is filled with shredded memory foam and it has all the benefits of classic memory foam without causing your head to sink too much into it and feel enveloped by it. Hypoallergenic pillow – The TENCEL cover of this pillow is naturally hypoallergenic which makes the pillow resistant to allergens and dust mites while LOFTY-X memory foam pieces only contribute to this. In general, our experience with the Bolster pillow was more than positive. Its combination of shredded pieces of the special LOFTY-X memory foam with the TENCEL fibers gives you all the comfort you need for a restful night’s sleep without causing stiffness or neck and back pain. The shredded memory foam provides necessary contouring support, while at the same time it has enough softness to create a truly comfortable sleeping surface. With a little bit of adjustment, it can be an ideal fit for all types of sleepers and all sleeping styles. It also sleeps incredibly cool due to the use of shredded memory foam which allows better circulation of air through the pillow and the TENCEL cover which aids in breathability, effectively wicks away heat and moisture and prevents that sticky sweaty feeling that traditional memory foams are known for. It is a durable and long-lasting product with a removable cover that can be taken off and washed if necessary and comes with a 30-night sleep trial and free shipping and is unlike any other pillow currently present on today’s online market.